"He woos you wives while you're at work ..."
McNeill soon dropped the script and began doing the show by the seat of his pants, interviewing audience members and earned the The Breakfast Club its reputation as "radio's most unrehearsed show." Listeners started tuning in, Cream of Wheat put up a sponsorship, and guests got better. 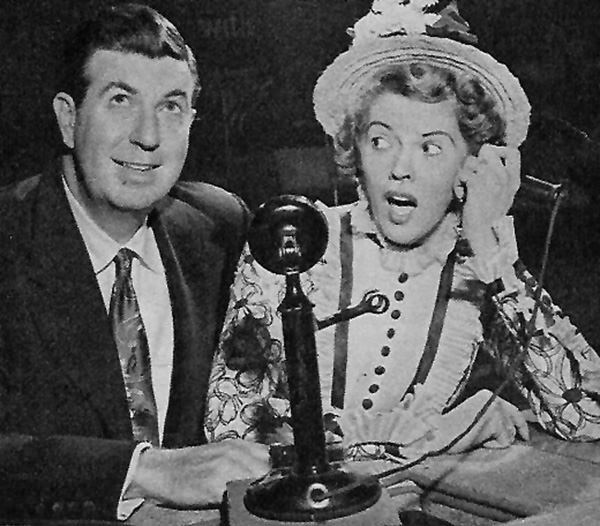 Among the Breakfast Club regulars lieJim and Marion Jordan (just before their fame as Fibber McGee and Molly), Marion Mann, Patsy Lee, Johnny Desmond, Alice Lon (famed later as the "Champagne Lady on Lawrence Welk) and Homer and Jethro. I love being able to get so many "Breakfast Club" shows at such a reasonable price. I'm 76, and listened to it every day from age 6-8 in Chicago with my folks, at least my mother after Dad had gone to work at Swift, the sponsor. I do wish that the compilation somehow had the dates of the shows. (I realize that could be a lot of work.) One particular show would be important: Sept. 13, 1949. 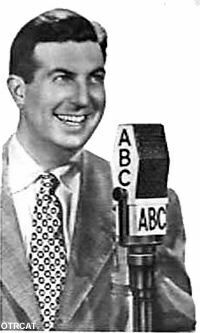 I'm assuming that was the date -- my late brother Jim's 5th birthday -- when Dad took Jim to a "Breakfast Show" broadcast. One feature at the time was the March Around the Breakfast Table, which got audience members up on their feet. We heard McNeil coax an uncooperative kid: "C'mon, the boy in the cowboy hat -- let's get up and march!" Jim was kind of a shy kid and was wearing his new cowboy hat when he left the house. I'm hoping to find that episode and confirm that I really heard it. I hope your brother Jim still had a good time marching around the table! I'm sorry to say I don't believe I have the 1949 recording you had in mind unfortunately. You can see the list of contents is listed down below on the log page of each series. The numbers on the episodes are the broadcast dates listed as YYMMDD (so for example a July 4, 1947 show would appear as '470704'). It probably wasn\'t all that different from a lot of early television shows. The early Today Show, for example, where Dave Garroway sat at a desk with monitors behind him and a lot of clocks showing the time in various cities. Or \"You Bet Your Life,\" which actually was a radio show shown on television, Groucho sitting at a high desk with a microphone in front of him and contestants standing at floor mics. Yet YBYL did well on television and Breakfast Club didn\'t.